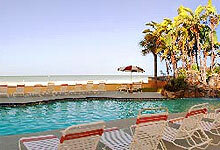 We start by listing ALL hotels / motels / vacation rental agencies in St. Pete Beach. As you check and uncheck boxes below, the number of matches will change automatically (above, in red). Search for exactly what you want, easily and quickly. 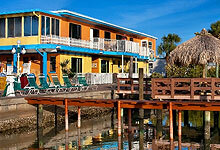 Beautiful Boutique resort overlooking Boca Bay and just across the street from the beach. 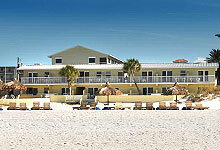 Stay at one property, Play at two properties! 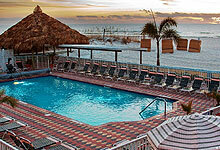 Bayview Plaza Resort and Plaza Beach Resort, just across the street from each other and you can share amenities. 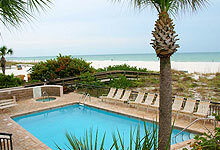 Amenities include: Boat Slips, Pool, Beach Access, Mini-Golf, Fishing Pier, Non-Smoking rooms, Guest Laundry, Internet CafÃ©, and Private Balconies. 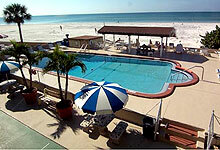 The Plaza Beach Resort, located in the heart of beautiful St. Pete Beach, is directly on the Gulf of Mexico, offering: full kitchens, full-size refrigerators, huge 37â€� LCD TVâ€™s, cable, DVD and VCRâ€™s available. Private balconies available. 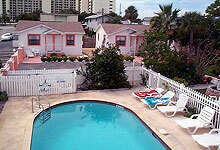 Large heated pool, shuffleboard, mini-golf, laundry. Non-smoking rooms. 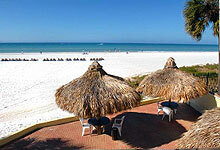 The perfect escape awaits at TradeWinds Island Resorts, two neighboring resorts on St. Pete Beach, Florida. Whether you stay at TradeWinds Island Grand or RumFish Beach Resort, youâ€™ll enjoy endless beachside fun and superb amenities at both! Laze in a beach cabana. Unwind at a tiki bar.Enjoy thrilling watersports. In addition to kids activities, tennis, fitness centers, spa and retail shops, youâ€™ll love culinary experiences at award-winning Palm Court and aquarium-view dining at RumFish GrillÂ®.